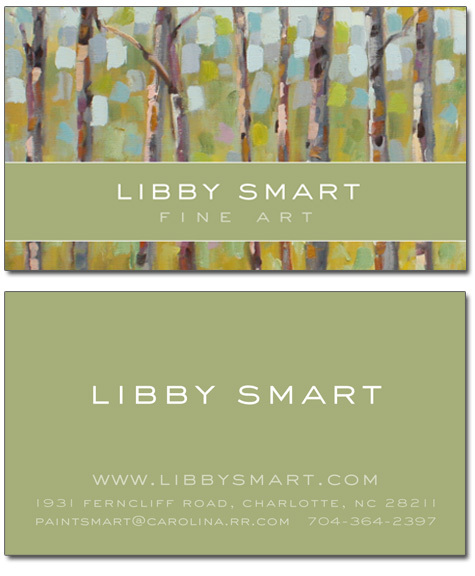 In addition to a standard-sized business card, I often suggest that artist clients use a larger card that features one or more samples of their work, along with a biography or artist's statement. 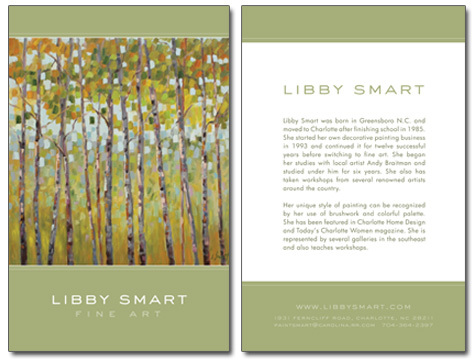 This multi-functional piece is useful as an oversized business card, a flyer for display at galleries or events, brochure-type collateral for sharing with potential clients or galleries. More art gallery email marketing this week... 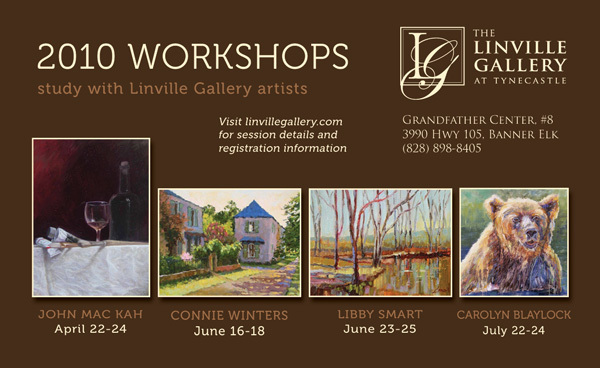 This email announcement from The Linville Gallery promoted their upcoming art workshops with John Mac Kah, Connie Winters, Libby Smart and Carolyn Blalock. I typically use Mailchimp for email campaigns but often work with Constant Contact or other platforms as the client's preferences require.